My thick wonderful hair is beginning to thin... Could you imagine that. 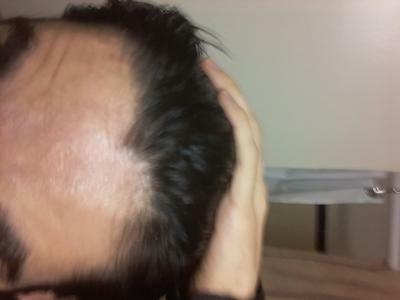 I started losing the bulk of it when I went on a vegan diet but I was noticing that I was starting to lose a little bit of the hairline, nothing to be alarmed about. But after I went on a vegan diet my hair loss accelerated at light speed. So based on everything I read on this website and the books and the videos I watched. This is the diet I'm adopting. Chicken thigh baked with skin and bone. About two cups of spinach mixed with a little bit of onions are the red white or yellow and some red or orange bell peppers. I also eat it with non GMO blue corn or yellow corn tortillas... I'm Mexican what can I say lol.. the non-GMO variety can only be found at Whole Foods as far as I have been able to detect I used to Ula brand. Day in day out I substitute the tortillas with red quinoa or chickpeas and I usually eat it with the mixture of some avocado or queso fresco. For a snack I eat about a half a cup of whole milk yogurt plain with either a banana, blueberries, or two medjool dates. A bowl of either red black or green lentils mixed with beef gelatin. I use a brand called Great Lakes and use about 2 tablespoons. I eat this with a quarter of an onion red white or yellow, a whole avocado in about a quarter cup of cilantro. On Tuesdays I have class so I don't have time to cook so I just eat a really large bowl of whole milk plain yogurt with 6 medjool dates and half a cup of blueberries. I found that if I don't eat enough I still lose hair. That was based on eating like this, or better said something like this starting about two to three months ago. At that time I wasn't eating any quinoa or very little no beans for breakfast or lunch and definitely no tortillas. And I think I was under eating because I lost a a lot of weight, like I used to be 152 lb and I dropped to 128. So I don't think I could grow hair if I'm losing that much weight that fast. That's mainly why I added the carbohydrate foods especially the beans the tortillas and quinoa because I realize I just was not eating enough. You are absolutely correct. We have linked the vegan diet to hair loss. It can accelerate hair loss very, very quickly, depending on how much grains and sugar you're taking in. Hair loss can become very aggressive in some people who are on vegan diets. So it takes a certain type of awareness to realize that that's what's causing it, and I'm very happy that you can see with clarity what's actually going on. The diet you listed is absolutely spectacular. The only adjustment I would make is quinoa. If you're going to eat quinoa, eat it once per week, and make sure you soak it. Quinoa has saponins that can puncture holes in your gut, and you must soak it before you eat it. Or eliminate it all together. Other than that, I do not see any errors in your diet menu. Give the diet time to work. Please note that I had a client from six years ago who I contacted after he started to regrow his hair. After five and a half years, he's only seen 75% recovery. He did have an advanced case, however, but it just goes to show you how long it can take in some people. His name is Noah, and his story is on the website. I know I've said this before, but it takes literally days for the hair to fall out, and it can take a very long time to grow back. But it depends on the overall condition of your body. The healthier you are, the faster your hair will grow back. 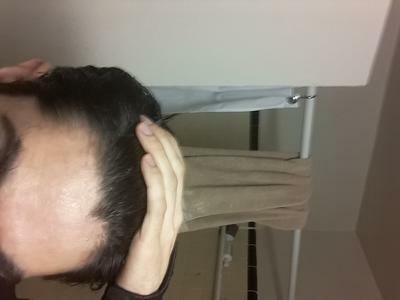 I've seen hair recovery in males as fast as three months. And like I said, with another client it took over five years just to see 75% recovery. So hang in there and don't quit! Thank you so much for the pictures. We are desperately in need of before and after pictures. If you are willing to keep yourself updated and send us more pictures I would be deeply grateful for that. Please let us know how you're doing in the near future, and I'm looking forward to your success! Thanks for your feedback. I suspect that since you only mentioned caution around the quinoa that there's less concern regarding the non-GMO tortillas and the beans. I'll make the adjustments and kick back on the quinoa and I definitely was guilty of not soaking them so will change that! Let's hope for the best. I also forgot to mention that I occasionally make my own vegetable juice out of celery cucumber and carrots and sometimes cabbages. I don't know if this would have a negative effect either. Thanks for your website your videos and your little ebook... they're all helpful! Non GMO tortillas are definitely preferred over genetically engineered. However, they're still high GI. What you could do is combine the tortillas with fat, vegetables and protein to buffer the glucose effect of the corn tortillas. That will help a lot. So in other words, always mix the tortillas with low GI foods. Also, I would scale back on the tortillas. They probably wouldn't do a lot of harm, but you want to pack your system with as much nutrient-dense foods as possible, and tortillas don't have a whole lot of value for your hair. You can eat the beans every day in every form. And the vegetable juice is fine every day too. Good luck, and please let us know how you're progressing! Thanks for your interesting content! I have been following a plentiful whole foods focused, grain-free, sugar free, vegan diet over and since 2018 and have experienced some hair regrowth, only for that regrowth to be compromised when I took a few months in the summer when I drank a lot and ate out frequently, up through the end of the holiday season. I experience hair fall a day or two after I eat grains, especially wheat, and I also see it connected to drinking and dairy/meat consumption. Why would my scalp prefer a vegan diet when many hair specialists suggest it makes things worse? 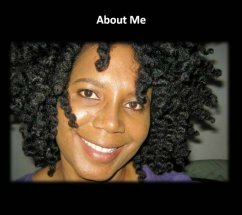 I've seen some success stories attributed to veganism and hair growth, what might the discrepancy be? It's very hard to pinpoint exactly how vegan diets cause hair loss, but it's something that I've seen over and over again. Unlike standard vegetarian diets, true vegan diets are highly restrictive. There are some vegan habits that are associated with hair loss. During my extensive studies, I've linked saturated fats to aggressive hair-regrowth. Fat is a very powerful nutrient that is completely misunderstood by the mainstream media. I believe extreme low fat consumption is a contributor to hair loss. You need fat to create hair, and a vegan diet is inherently low in saturated fat. Vegans love soy. Soy causes hair loss because it dampens your thyroid's ability to create hormones. Without thyroid hormones, your hair will stop growing. Vegans tend to eat foods very high in soy. For the hair loss diet to work, the soy must go. We had one success story, (Cardaro), who was vegan. However, having known many vegans, they can completely veer off of veganism and occasionally eat animal products. This would, of course, temper some of the damage caused by a vegan diet. I have seen vegans with thick hair, but you'd have to ask, (A) how long have they been vegan, and (B) do they veer off of the diet and not say anything. So it's very hard to get at the truth. The longer strict veganism continues, the higher the chance for hair loss. I heard an expert say that you would have to follow vegans to a deserted island, and only fly in vegan foods, and then conduct studies that lasted for a decade to get to the truth. In other words, there's a lot of cheating going on. Last weekend, I had dinner with a vegan who ate a thick, juicy steak. It's very hard give this type of eating pattern a name. I've been close to quite a few vegans. I'm going to estimate 10. Not one of them is a vegan anymore in the truest sense of the word. It's very hard to sustain a vegan diet. Hair regrowth is so easy. It's something that naturally happens on its own. Environmental toxins, heavy metals, poisonous water, depleted soils, microwavable foods, soy products, gluten, sugars and prescription pills are causing hair loss. You have to eat a sensible diet without severe restrictions, and then remove 99.9% of processed foods. Then the miracle happens. Your diet is everything. It composes who you are. Use common sense strategies, and you will be shocked at how quickly your hair will grow back. Hair loss quietly reverses on its own when these toxins are removed. What you could do is contact a naturopath who specializes in vegan diets, and ask them about the link to hair loss. Then experiment on your own to see what works for you. You mentioned a blog post where people said veganism triggered hair regrowth. Please note that sometimes people write blog posts, and then forget to update them. 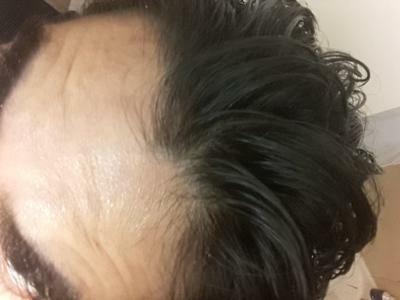 They may sincerely believe that their hair is growing back, and then a month later, they may experience hair loss again and forget about their previous post. Another thing is when you're doing something to damage your hair, like fasting or extreme low fat, it takes a while for the hair loss to start. It takes an average of three months to notice hair loss. You may believe something else is causing it, when in fact it's the diet. It's very confusing, and it's something that I noticed after careful observation. By the way, my brother had hair loss for 35 years, and his hair is growing back. He's 55 years old. I'm learning something every day, and I will never make assumptions, because then I'm proven wrong. I hope that answers your question. Please let me know how you're doing in the near future. Can i smoking cigarettes?? I follow hair loss diet very strict. Combine protein with vegetables only. I don't eat gluten diary and processed foods but i smoke cigarettes. Is it really bad for my hair? ?